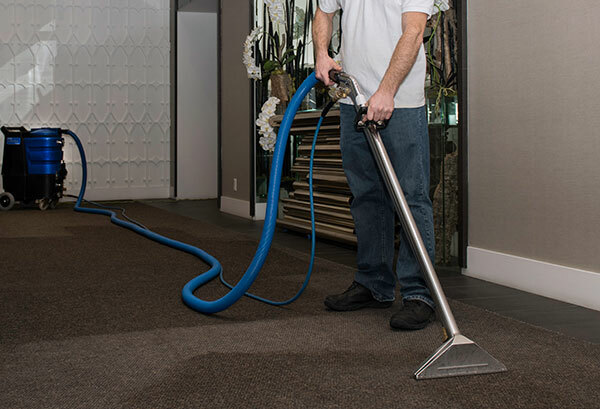 Spectrum has been the Toronto-area property managers’ carpet cleaning choice for over 25 years, because we treat each facility like it was our own. First, a Cimex carpet cleaning machine scrubs the carpet with a solution that encapsulates dirt particles. Any hard-to-reach corners are sprayed manually and scrubbed with a brush. Then, a hot water extraction process (steam cleaning) removes the dirt and cleaning solution to leave the carpet fresh. This process allows the fibres to better retain their shape and strength – prolonging the life of the carpet. Nothing makes a facility look as inviting as clean carpets! Contact us for a no-obligation quote for a one-time cleaning or a regular carpet maintenance schedule.